Are you a photographer looking all over the internet for that perfect package that can help you edit all your photos and give them a more professional look? Then you have come to the right place. Here we give you five quick ways to edit photos on Mac like a pro. 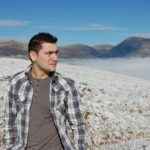 Whether you are a blogger or a photographer, you have probably had to deal with all the problems that converting many images to different sizes and formats can create. 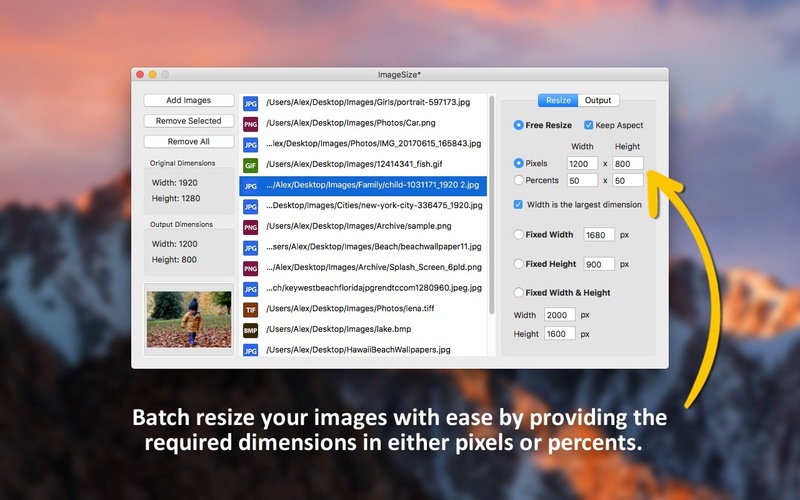 The best solution is definitely ImageSize, a macOS application that lets you resize, convert and rename images in batch mode. This app lets you choose to resize your photos using either pixels or percents and also provides three special resize modes: Fixed Width, Fixed Height and Fixed Width & Height.This way, ImageSize reduces many hours of work to just a few simple clicks. If you own a photography blog or website, then you must know how difficult it is to maintain a perfect template design. 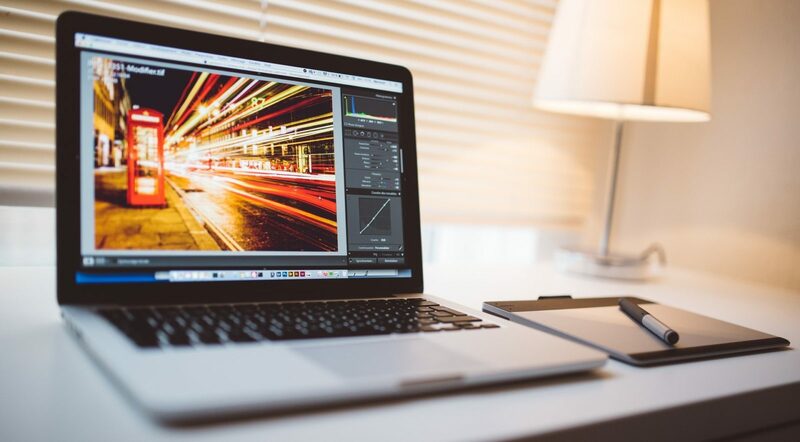 All the images that you post online must match your website’s template and that means that sometimes they have to be cropped to a specific aspect ratio. 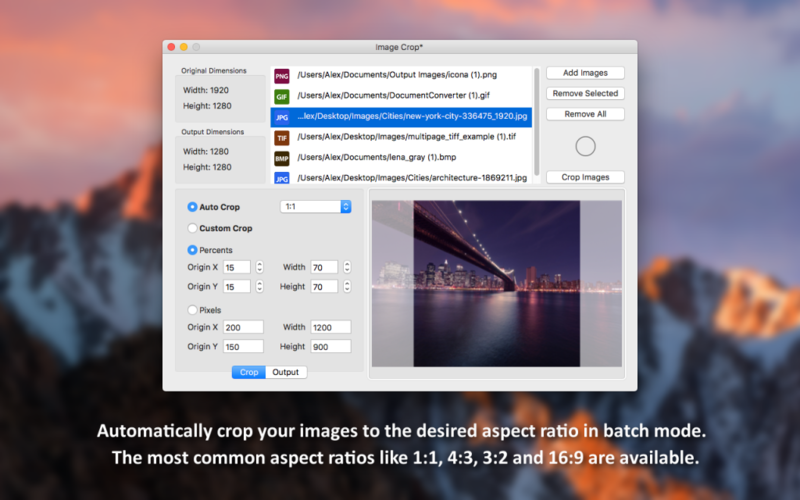 The best app which can help you with this problem is Image Crop, a macOS application that lets you crop, convert and rename photos in batch mode. With this app you have the possibility to define the crop area using either pixels or percents or you can choose the option to automatically crop your images to one of the following aspect ratios: 1:1, 4:3, 3:2 and 16:9. Purchase Image Crop today and make your website or blog stand out. Being a photographer is hard work, especially when you have to fine-tune your photos and you can’t find a reliable app. 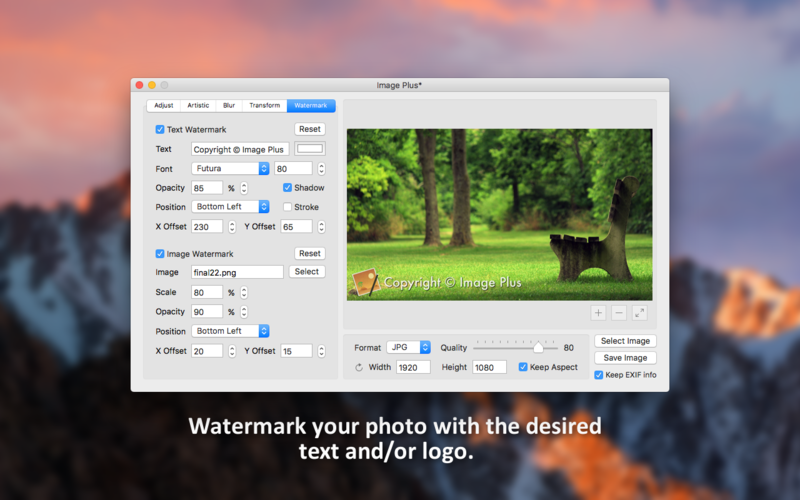 In this case, the solution is Image Plus, the best macOS application that can help you edit all your images. 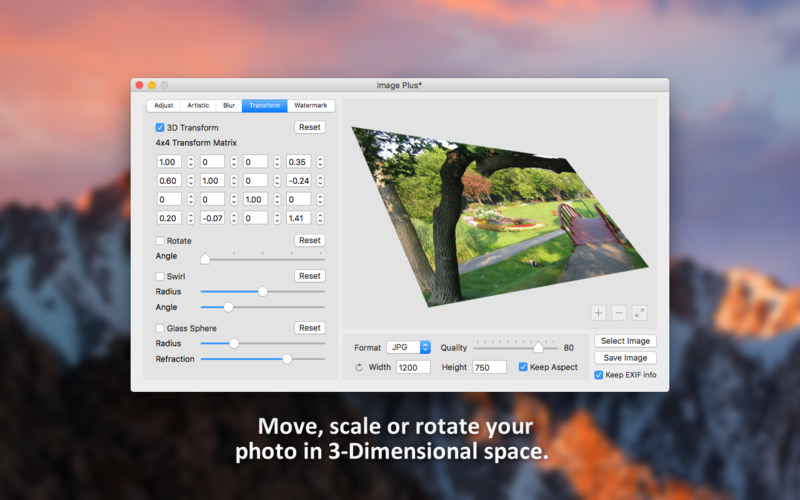 One of the many features that Image Plus provides is image rotation. With this you can change the angle of your photo and make it unique. You can also reset the rotation and try again if you are not satisfied with the initial result. Let your creativity run wild with Image Plus. If you are a photographer you must know how important it is to post the best images online so that everyone can admire and appreciate your work. But if you decide to post them, you must know that there is a risk that someone might steal your images and present them as their own. The best solution for eliminating such a risk is Image Plus, the best macOS app for watermarking photos. Image Plus allows you to apply both an image and text watermark on your images and lets you customize these watermarks to the smallest detail. This way, your work is safe with Image Plus. One of the issues that you run into very often when owning a photography blog or website is the need to blur images. This situation occurs when you need to hide the face of a certain person or when the photo needs more depth. 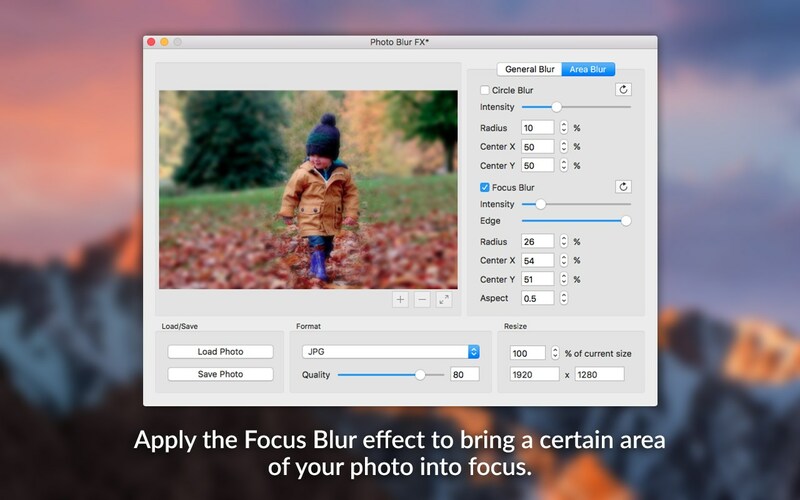 The best macOS application that can surely help you is Photo Blur FX. This app provides you with both general blur effects and area blur effects. If you go for a general blur, you can choose between the Gaussian blur, tilt shift blur, motion blur or zoom blur effects, all of which are fully customizable. For area blur, Photo Blur FX provides you with the circle blur and focus blur effects, which can also be customized to the smallest detail. In the end, after you are satisfied with the result the app lets you save the image in one of the following formats: JPG, PNG, TIFF, GIF or BMP. Let Photo Blur FX help you achieve the perfect photo.